Card Text: 1U: Adapt 1. (If this creature has no +1/+1 counters on it, put a +1/+1 counter on it.) 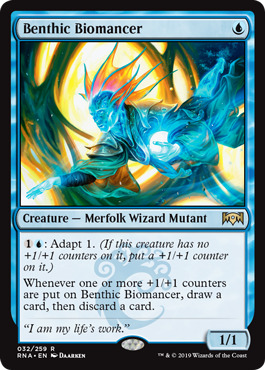 Whenever 1 or more +1/+1 counters are put on Benthic Biomancer, draw a card, then discard a card.